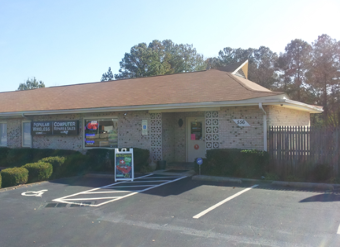 Secure Data Recovery in Cary, NC in one of the top data recovery companies in the area. We are an accredited company with the Better Business Bureau and we hold an A+ rating in Cary and at all of our locations. As one of the top developing cities, Cary, NC lacks a reliable data recovery source. That is why Secure Data Recovery has opened a convenient office in Cary, making it possible for companies to receive high quality data recovery services. No matter what type of device you may have, we have the ability to recover data from virtually any media. Contact our award winning customer service team for more information today. Regardless of your media type or the cause of data loss, our Cary, NC location offers a range of services to quickly recover your files. See some of our featured data recovery services below. Drive failure is an unexpected and stressful burden. Many companies overlook that fact that they rely so heavily on the data that is stored on their drives. So when that drive fails, companies cannot properly operate. Secure Data offers quick turnaround times and 24 hour emergency services ensuring your company experiences as little downtime as possible. We also provide remote data recovery services and provide easy to use online case monitoring tools, so that you can monitor the status of your case. If you believe that your drive is failing unplug it from the power source and do not attempt to recover your own data. Trying to recover your own data can create further file damage and even permanent deletion. Our engineers have decades of experience with drive repair and data recovery. Let out team of professional safely recover your data for you. Take a look at some tell-tale signs that a drive may be failing. Not only does Secure Data offer data recovery services, but we also offer the industries best digital forensic services as well. Digital Forensic cases can be matchless to each situation, for this reason, Secure Data Recovery provides specialized solutions to fit your unique needs. Call our team of experts in Cary, NC today for a free device diagnostic. Our service team will provide you with additional information on convenient pick up and drop off locations, online case monitoring tools, and tell you about our no recovery, no charge guarantee. First time using SDR and was super impressed! Not only was the cost reasonable but they were able to recover ALL of my data! Will share their services/contact information with other work colleagues -- glad to know they are right down the road from our admin practice! Thank you so much! After having dropped my laptop, I contacted Secure Data Recovery and have been dealing with Chris M. on a solution to get all of my important documents back. He has been very helpful throughout the entire process and very up front with the process and cost to get everything back. Though I declined due to lack of funds, if you're needing your important files and documents saved and want to feel like you're actually talking to a person vs a robot, Chris M. is the man to talk to. Will definitely recommend in the future!